Hot fudge is the key to this smoothie surprise. Mix ingredients in blender. 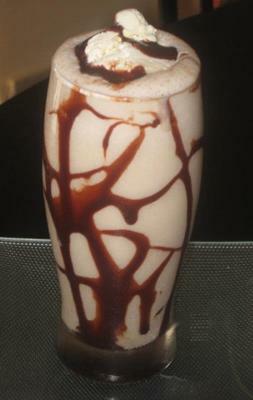 Save a little bit of the hot fudge, then drizzle it into the glass before pouring the smoothie. Top with extra ice cream.